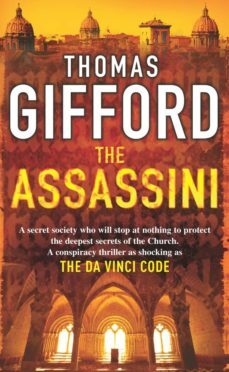 For fans of The Da Vinci Code: A conspiracy thriller about an age-old brotherhood of killers. Once hired by princes of the Church to protect it in dangerous times, whose orders do they obey now?In the Vatican, the pope is dying as priestly vultures gather around, whispering the names of possible successors. In a forgotten monastery on Irelands gale-swept coast, a dangerous document is hidden, waiting to be claimed. And in a family chapel in Princeton, New Jersey, a nun is murdered at her prayers. Sister Valentine was an outspoken activist, a thorn in the Churchs side. When her brother, lawyer Ben Driskill, realizes that the Church will never investigate her death, he sets out to find the murderer himself -- and uncovers a dangerous, explosive secret.